We like both SiteGround and HostGator, but we had to pick a winner. See who we chose in our side by side comparison of the two hosting companies. SiteGround and HostGator have a lot in common in terms of services offered, but differ a lot in how large they are and how they care about customers. SiteGround and HostGator are two different companies in how big they are, where they have datacenters and what they offer customers. SiteGround was founded in 2003, they are located in Sofia Bulgaria; and they have over 50 employees. They have over 400,000 customers and host over 300,000 domains. Their datacenters are located in USA, Singapore and Europe which gives you worldwide coverage. SiteGround focuses on providing close attention to the customer while offering well priced plans. 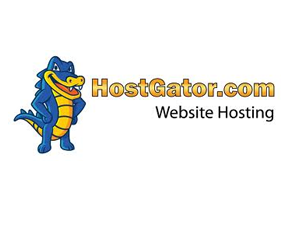 HostGator was founded in 2002, they are located in Austin and Houston, Texas; and have over 500 employees. They have over 400,000 customers and host over 9 million domains. Their datacenters are based in Provo, Utah and in Austin and Houston, Texas. Their datacenter coverage is primarily in the USA, so international users may not find HostGator to be the best option. HostGator does a great job of getting customers in the door with low prices and keeps them around with top notch customer service. Plans are priced about the same at both SiteGround and HostGator, but they have one slight difference. The difference HostGator offers unlimited disk space on their shared server plans. Startup - $3.95/Mo. 1 website, 10GB storage, unlimited bandwidth, databases, ftp accounts, email accounts, free domain name. GrowBig - $7.95/Mo. Multiple websites, 20GB storage, priority support, SuperCacher, and 30 versions of backups stored. unlimited bandwidth, databases, ftp accounts, email, domain name. Priority support, SuperCacher, and 30 versions of backups stored. GoGeek - $14.95/Mo. 30GB storage, priority support, SuperCacher, and 30 versions of backups stored, less accounts on server, advanced hardware, Joomla and WordPress staging. Multiple websites, unlimited bandwidth, databases, ftp accounts, email, domain name. Entry plan Cloud 1 - $68.95/Mo. 2x2.0GHz CPU, 1GB RAM, 40GB space, 1TB bandwidth. Top plan Cloud 4 - $138.95/Mo. 4x2.0GHz CPU, 4GB RAM, 150GB space, 5TB bandwidth. Entry Server $229/Mo. - 4GB DDR3 RAM, Quad Core Processor, 500GB space, 5TB bandwidth. Top plan Enterprise Server - $429/Mo. - 16GB DDR3 RAM, Hexa Core Processor, 1GB space, 5TB bandwidth. Baby plan - $6.36/Mo. unlimited diskspace, bandwidth, emails, databases, and domains. Business Plan - $10.96/Mo. unlimited diskspace, bandwidth, emails, databases, and domains. Free SSL & IP and Toll Free Number. Entry plan - VPS Level 1 - $19.95/Mo. 10GB space, 250GB bandwidth, unlimited domains, email and databases. Top plan - VPS Level 9 - $219.95/Mo. 231GB space, 3150 bandwidth, unlimited domains, email and databases. Entry plan - Basic Dedicated Server - $174/Mo. 500GB RAID-1 space, 10TB bandwidth, unlimited domains, email, and databases, 5 free dedicated IP's. Top plan - Pro Dedicated Server - $374/Mo. 1TB RAID-1 space, 10TB bandwidth, unlimited domains, email and databases, 5 free dedicated IP's. Both SiteGround and HostGator use cPanel, but the SiteGround version is much cleaner. SiteGround uses the most popular hosting control panel on the internet, cPanel. cPanel has a limited look and feel. For instance the icons look outdated. The SiteGround version of cPanel is better than HostGator because they do not add in an extras or partner advertisements. They have a better layout with gray bars separating each section. Lastly, SiteGround includes their own 1H server monitoring software so you can see statistics for different aspects of your server. HostGator also uses cPanel. Their version is very outdated looking. The HostGator version of cPanel is worse than SiteGround because they stuff extras and advertisements into the top portion of the control panel. Their layout looks outdated and boring. They include some of their own sections like Billing and Domain Management. They do offer a unique application called QuickInstall which lets you install lots of applications in just one click. Both SiteGround and HostGator work well with Joomla. SiteGround offers a one-click install method and the manual install method. HostGator offers two, one-click install methods and the manual install method. To install Joomla at SiteGround you can use the manual method or you can use Softaculous their one-click installer. I prefer the manual method because you get more control over the database creation and you can monitor the whole process. If this isn't something you're worried about than using Softaculous works better. It's easier and works very well. You won't run into any server compatibility errors when installing Joomla at SiteGround. To install Joomla at HostGator you can use the manual install method or the two one-click install options. I prefer using the manual method to install Joomla because it's the best way monitor and have control over the process. The two one-click install methods are QuickInstall and Fantastico. QuickInstall is HostGator's own application which installs lots of different scripts. Fantastico is a third party application that has the same install scripts. You won't run into any server compatibility errors when installing Joomla at HostGator. SiteGround and HostGator have similar performance data. When optimized both of our Joomla test sites have performed well for over 6 months. With SiteGround we tested a site with over 100 pages of content for over 6 months. After this period of time we found that it had an average response time of 842ms which is very fast and an average uptime of 99.77% which is very reliable. With HostGator we test a site with around 200 pages of content for over 4 years. After this period of time we found that it had an average response time of 963ms which is very fast and an average uptime of 99.23% which is very reliable. SiteGround and HostGator have great technical support. I am particularly impressed with SiteGround's support ticket response time. With SiteGround you get the 3 most important forms of support: live chat, phone, and ticket support. All of which are very helpful and friendly. Live chat is excellent and my favorite form of contacting SiteGround. They answer within seconds and you can see a picture of the technician you're speaking with. This personalizes the process while they help you. Phone support is decent. It's nice being able to call, but understanding their staff is hard for people in the U.S. because their support staff is located in Europe. Ticket support is that stands out the most because of their incredible response time. Most tickets are answered within 10 minutes. With HostGator you get the same support options. All of which are helpful and friendly. Live chat is pretty good but they do not personalize the chat anymore than by supplying the name of the technician. They are helpful, friendly, will solve most problems for you. Phone support is great. It's all U.S. based so you don't have to worry about understanding what they say. Ticket support is very good. They lag a few minutes behind SiteGround with their response to tickets being around 20-30 minutes. Some hosts like Go Daddy can take up to 12-24 hours to hear a response. This is pretty tough call. Though I would have to say that hosting with SiteGround has been more pleasurable. Their prices are very affordable, the control panel is easy to navigate, and their support is more personalized.